This class will show you the art of taking ordinary things (buttons, baubles, old costume jewelry) and “Re-Jeweling” it to make something new and beautiful to wear! This class with focus on pottery and working with clay on a wheel! Limit 4 participants per session. 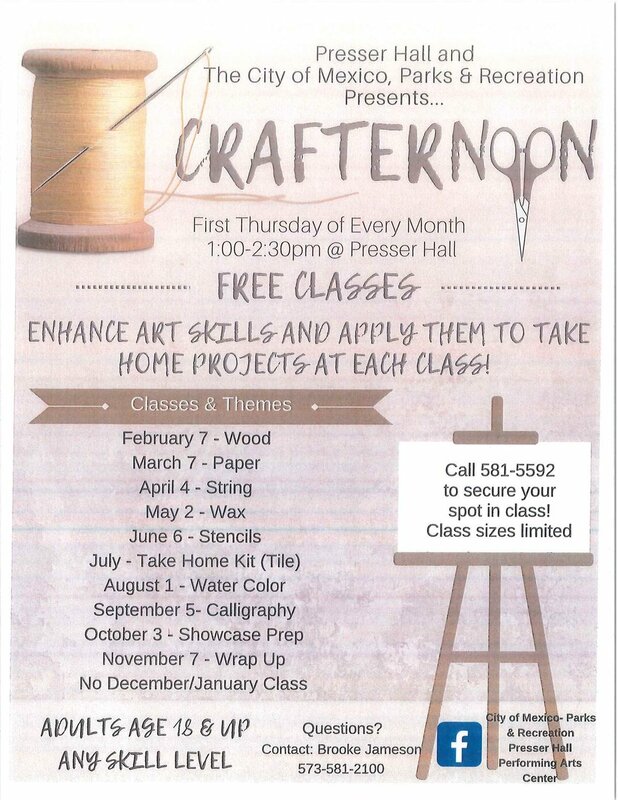 Learn Your Sewing Machine Workshop! One Day workshop with Jane Norman! Do you have a sewing machine sitting around waiting to be used? Are you unsure of how to use it? Then come to the Learn Your Sewing Machine Workshop! In this 3 hour workshop you will learn how to thread and maintain your sewing machine, all of the parts of a sewing machine, trouble shooting, and sewing basic stitches. Students will end with the class having made a small tote bag. Our Town, by Thornton Wilder, is one of the most beloved, most frequently performed dramas in the history of American theatre. It offers a look at the growing up, living, loving, and dying of ordinary people in a small New Hampshire town at the turn of the Twentieth Century, revealing that however much times and circumstances may change, there are certain experiences that tie all of humanity together. But the play also thoughtfully presents deeper questions about how people relate to each other and to the universe itself, encouraging the audience to appreciate the simple beauties of the world around us and the people we love. Timeless and touching, Our Town is more than just a play--it is an experience that entertains, enriches, and endures long after the performance has ended. This one day workshop is geared towards artists of all mediums to help you tackle technology and take your work to the next level. Learn Practical tips and tricks on how to use social media and websites to market you work. Discuss the benefits of social media, learn about branding and establish a marketing plan. Bring your devices with photos of your art and Marcia will help you get connected. This beginning level acrylic painting class will focus on learning traditional and technical skills in painting. Class will focus on learning color theory, value, depth of field, value system, and basic painting and brush technique’s. Each student will create a beautiful landscape painting of their own on a 16 x 20“ stretch canvas. This beginning level stained-glass class will focus on learning how to create a pattern, cut glass, use a glass grinder, and learn basic soldering techniques. Each student will create their own beautiful small 8 x 10 inch window.